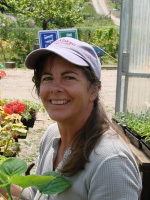 Welcome to Flowers by the Sea, a family run mail-order plant nursery. We've been supplying gardeners with superior plants for over 25 years. Our plants are large, healthy and guaranteed to please. 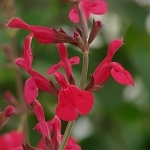 The genus Salvia is our specialty, and we have the largest selection in the United States. We currently offer 377 Salvia species, hybrids and varieties - along with numerous outstanding hummingbird, butterfly and bee plants. Our focus is on plants for pollinators. Each and every one has been extensively tested & evaluated before we list them here. We're proud of the quality of what we grow, and Unconditionally Guarantee your complete satisfaction with everything we sell. We are now taking orders for spring delivery. Doing your shopping now will insure you have the widest selection, and you choose when your plants will be delivered. We sell out of some of our most popular varieties early every year, so act now to get exactly what you need. Read what our customers say about our service, quality and selection. How do you grow Salvias? Read our Everything Salvias Blog! 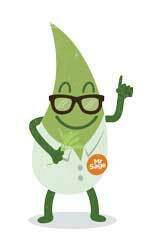 Our Everything Salvias Blog offers hundreds of detailed articles about sages. You'll find: how-to articles, interviews with Salvia gardeners and experts, landscape design ideas, plant profiles, stories about cooking with sage, shade gardening suggestions, video tutorials and wildlife habitat advice, including tips for bee, butterfly and hummingbird gardening. Getting Started is one of 18 categories you can click on. Some of the Getting Started with Salvias topics we cover are . . .
Visit this site on your desktop for more information. Each week, we walk through the nursery with a clipboard in hands, looking for the best we have to offer. All of the plants listed here are "prime", ready to succeed in your garden. In some cases they are just coming into bloom. Or they may be at the perfect stage to transplant. Or the seasonal foliage color may be at its peak. In any case, the list changes every week, so check back for the latest and greatest from Flowers by the Sea. (Caucasus Sage) This hardy ground cover sage grows 4 to 12 inches tall and 12 inches wide. The velvety white fur of its foliage aids moisture retention. Its soft, royal purple flowers make it stand out. We think this Salvia deserves to spread far and wide. (Purple Leaf Tall Big Leaf Sage) Bright green on top, the long leaves of this distinctive sage are a dark, furry purple on the undersides. Like the more typical green form of Salvia macrophylla, this variety has cobalt blue flowers that seem to float in airy clusters on 12-inch-tall branching spikes. (Snow Nymph White Tropical Sage) Butterflies, hummingbirds and honeybees enjoy this award winner, which is an outstanding choice for pure white color from June to autumn. This type of Tropical Sage is generally the first to flower for us. (Elk Sonoran Red Pineapple Sage) A new Pineapple Sage variety that has the traditional fruity fragrance but blooms much earlier in the season than the traditionally grown clone. Short and compact, it resembles the varieties 'Honey Melon' and 'Tangerine' size wise, but has the unmistakable aroma of ripe pineapples. Change is constant in horticulture. Selecting the best new plants is daunting even in one genus, especially Salvia, which contains about 900 species of true sages worldwide. Our New Arrivals section showcases the latest sages and companions in our online catalog whether new to commercial horticulture or only to our gardens. Please contact us if you have questions or gardening experiences to share about these plants. (Yellow Butterfly Weed) Typically a gold-flowered species, this variety of Butterfly Weed produces flat-topped umbels of tiny, star-shaped flowers atop narrow, lance-shaped leaves. Bright yellow and nectar-rich, they bloom from summer into fall. (Silver Horehound) Wooly white hairs on the underside of gray-green foliage help conserve moisture and give this drought resistant groundcover a silvery appearance. (Narrow Leaf Milkweed) It's the fresh, minty green foliage of Asclepias fascicularis -- not its star-like, pink and cream flowers filled with nectar -- that is most valuable to Monarch butterflies. (Silky Red Bloodflower) Vivid red and gold clusters of tiny, star-shaped flowers contrast handsomely with the dark green, lance-shaped leaves of Asclepias curassavica 'Silky Red." The Monarch Butterfly is drawn to for nectar and as a host plant for its eggs. (Sacred flower of the Incas) Instead of red flowers, this variety of Cantua buxifolia features long tubular blossoms that are medium yellow with white, trumpet-like corollas. They hang upside down in clusters of 12 or more from mid-green foliage. This long blooming, water-loving South American shrub is popular with hummingbirds and butterflies. (Bolivian Mountain Sage) Neon lilac-pink flowers light up the handsome, furry foliage of this distinctive sage from high in the Andes cloud forests. Its large, textured leaves have dark, velvety purple undersides. Unhappy in dry heat, this is a very showy plant for humid climates. (Hybrid Bolivian Sage) This hybrid between Salvia orbignaei and Salvia haenkei occurs in the low-to-mid elevations of the Bolivian Andes. Recreated in the greenhouse from superior patents, this is a select variety with stunning beauty. 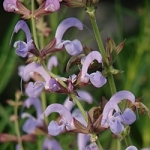 (Himalayan Sage or Kashmir Sage) The word "hians" in Salvia hians means "gaping" and refers to the hanging lip of this sage's flowers, which bloom from late spring through early fall. This may or may not the "true" species as it is described, hence the term aff or affnis in the name, which indicates that this plant is related to, has an affinity to, but is not identical to Salvia hians. (Blue Turkish Sage) Large velvety gray-green to white leaves in loose rosettes give this sage a distinctive look as does the celestial violet-blue of its flowers. The blossoms seem much too large for this short sage and its thin, candelabra-branched flower spikes. All arrived heathy and when promised. I'm now awaiting their growth and bloom. 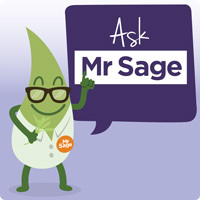 The sage plants arrived in lovely and healthy condition and are doing great after being planted in the ground. No flowers yet, but rapid growth. 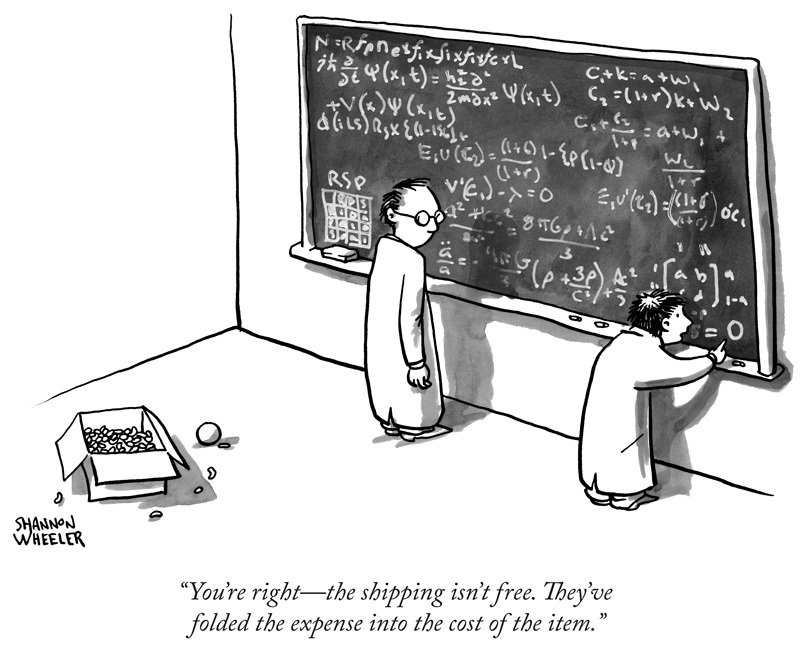 I highly recommend your company and will buy more from you. Thank you.